Courtesy of Lipply Real Estate. Ground floor rackominium in Turtle Cove Marina will accommodate a 22′ long, 10′ wide, 10′ tall boat. 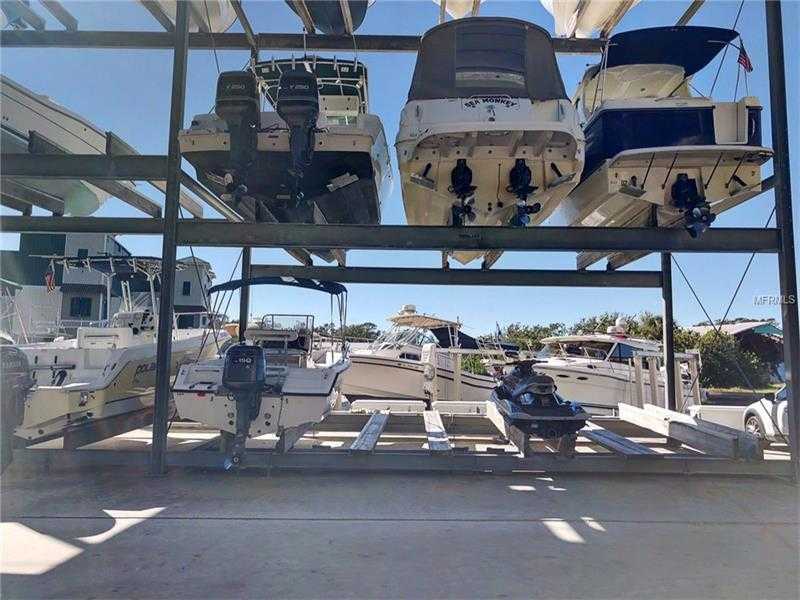 This high and dry boat slip has 24 hour security, gated with key card entrance, offers call ahead service, and amenities including onsite store, playground, Tiki bar, pool and jacuzzi, and private clubhouse. Located on the Anclote River just a 15 minute boat ride out to the Gulf and also walking distance to Tarpon Springs Sponge Docks with shopping and restaurants. Please, send me more information on this property: MLS# U7841199 – $9,000 – 827 Roosevelt Blvd #s505, Tarpon Springs, FL 34689. I would like to schedule a showing appointment for this property: MLS# U7841199 – $9,000 – 827 Roosevelt Blvd #s505, Tarpon Springs, FL 34689.